Need more information about booking Home 9661241 ? the villa was built in 1902 under the Austro-Hungarian Empire and served as a local dairy collecting milk for the city of Trieste. It served the same function when it was ceded to the Kingdom of Italy in 1919 and then to the Socialist Republic of Yugoslavia in 1945 where its activity as a dairy ceased. 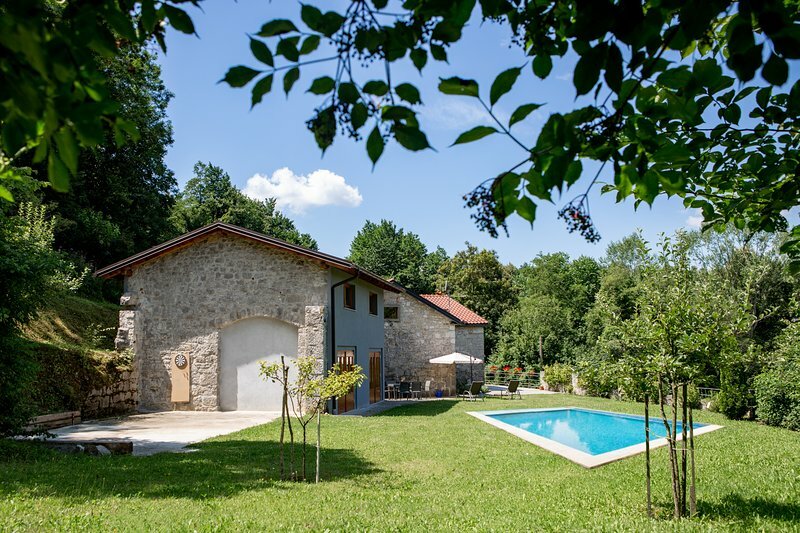 It was bought in 2002 and since then has been carefully renovated retaining its old world charm of an exterior original stone finish and modernised country style interior. Your Australian host John is there to welcome and can also act as a guide. An English Teacher by profession and knows the country and area very well. Pets should be kept outdoors. You can get in touch with John (the owner) through the contact form on this page. Send John (the owner) an email through the contact form on this page. Alternatively, if there’s a phone number on this page, you can call them. How do I contact John (the owner)? If you’ve already booked, go to Manage your holiday booking to view John the owner's contact details or send them a message. Or send John (the owner) an enquiry through the Contact the owner/manager form if you’d like a quote or more info first. When you pay online through the Book your stay form, a booking request is sent to John (the owner). You’ll find out within 24 hours whether they’ve accepted - no money will leave your account before then. You can also request a quote from John (the owner) through the contact form. The owner will email you the total cost for your dates and a link to book and pay online. Use the Book your stay form to pay provisionally online. You can pay by credit/debit card or PayPal. John (the owner) will have 24 hours to accept the booking and no money will leave your account before then. Why can't I call John (the owner) before booking? You’ll need to contact John (the owner) to do this. Send them a message in Manage your holiday booking or through the contact form on this page. You can request to change the dates or number of people on your booking via the Manage your holiday booking page. To change your holiday dates use the Edit booking button. If you need to change the number of guests staying then send John (the owner) a message. If John (the owner) agrees, they’ll send you a revised quote outlining the changes. You can review and accept/decline this from the Manage your holiday booking page. You’ll have 48 hours to take action before the revised quote expires. Estimated price per night based on a weekly stay. Owner fees of $90.00 per stay may apply. Enter your dates to see the total cost.